Boston Busking is proud to share the debut single “Streaker”, from Straight Up‘s upcoming EP “Paul’s Gonna Call”! 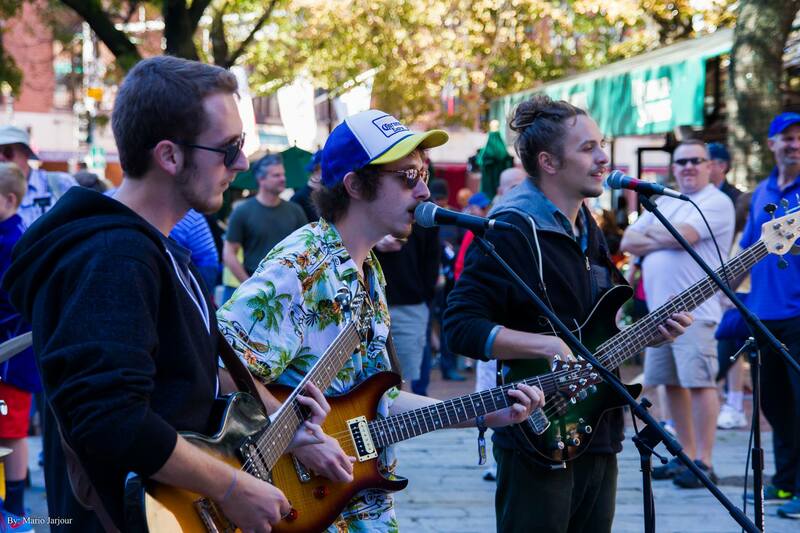 The four band mates from Bridgewater recently battled the cold of Faneuil Hall Marketplace for a show surrounded by the interactive ice sculptures ready for First Night, Boston’s New Year’s Eve celebration. “Streaker” is a perfect example of what Straight Up is all about. Reflecting on the vulnerability of streaking, their funky single starts off with a groovy baseline over rhythmic drums, adding guitars and eventually some organ, followed by a lengthy but contained and fitting guitar solo. And of course, to round the song off, the group finishes harmoniously with a bit of vigor in their voices, wailing “I took a little run/I thought it would be fun/But everybody saw my bum”. Listen to the single below, and download it on their Bandcamp page for name your price!